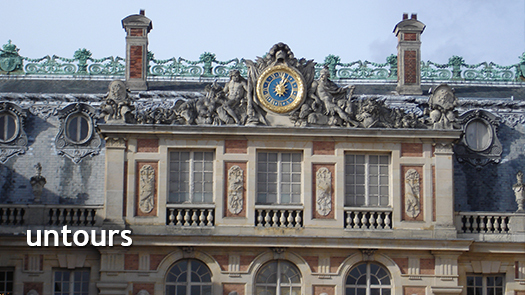 A trip to Paris isn’t complete without a daytrip to nearby Versailles, just a short trip on the regional train. France’s most famous château overwhelms most visitors. Breathing in its beauty, one understands how Louis XVI and Marie Antoinette could have made the fatal error of failing to flee in time to avoid Revolutionary mobs. Versailles simply wasn’t a place easily abandoned. Today, it ranks as the most popular destination for day-trippers from Paris, receiving more than three million visitors a year. One can only imagine the enormous task involved with the building of Versailles, what with a workforce of 30,000 artisans and soldiers employed (this during the reign of Louis XIV). Visiting all of its rooms in a single day could prove exhausting, so don’t try. No one, though, misses the palace’s famous Hall of Mirrors where the Treaty of Versailles was signed, formally ending World War I. Besides the main château, Versailles is composed of two smaller ones, the Grand Trianon and the Petit Trianon—the Grand Trianon being where kings grown weary of court formalities would disappear to (sort of a home away from home, if you will). Little wonder a royal head would duck out on his Court, since in its heyday Versailles was home to thousands of aristocrats…and His Majesty simply needed a breather. Marie Antoinette was in residence at her favorite haunt, the Petit Trianon, when word reached her that the Revolutionary mob was hot on her trail. While you are here, don’t miss the Potager du Roi, the King’s Garden. After taking a tour of the garden consider stopping by the boutique to buy some of Louis XIV’s favorite foods to add to your picnic! The boutique has rare selections of fruits grown in the garden, jams made on the premises, soups, and much more. Next to the Potager du Roi, you will find the Parc Balbi, a beautiful example of an English garden. Entrance is free and located on rue Maréchal Joffre. Be sure to stay in Paris for a week or more so you will have time to visit Versailles and other treasures that are outside of the city. The Paris Untour is a perfect way to settle into a charming neighborhood with access to city sights and the trains that will take you on excursions. Enjoy your stay in Paris!